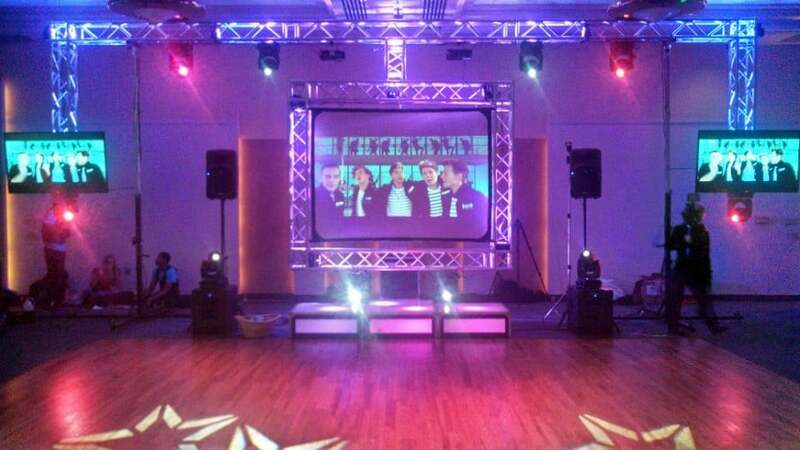 We now can provide you with state of the art image reproduction on our brand new 6mm LED video walls. 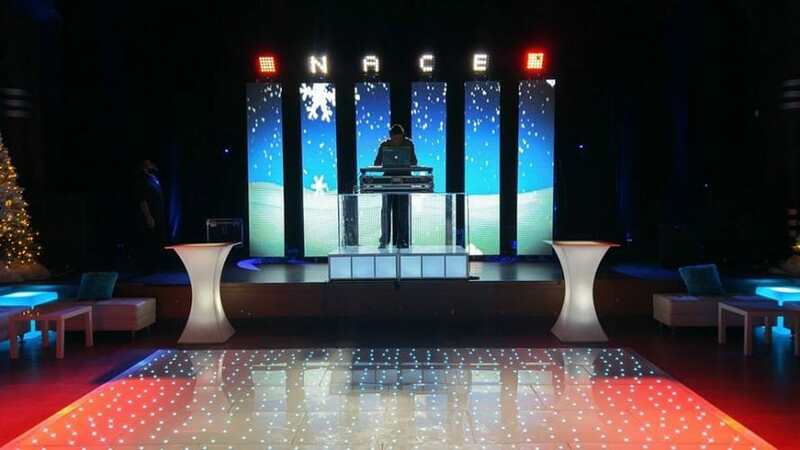 Walls can be built to size, and with an incredible 6mm pitch, they truly can provide a crystal clear display. 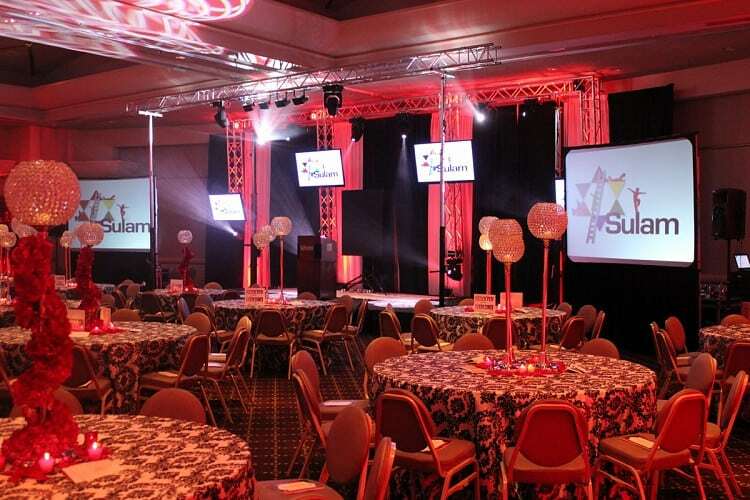 LED walls are great for social events, conferences, politcal rallys, and anything where a big, bright picture is needed, but space is limited. 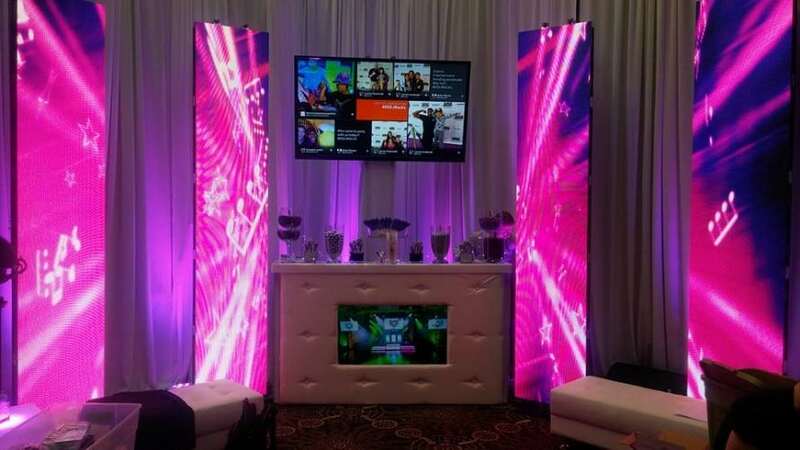 Not just for the corporate world any more, multimedia displays play an integral part in successful events. 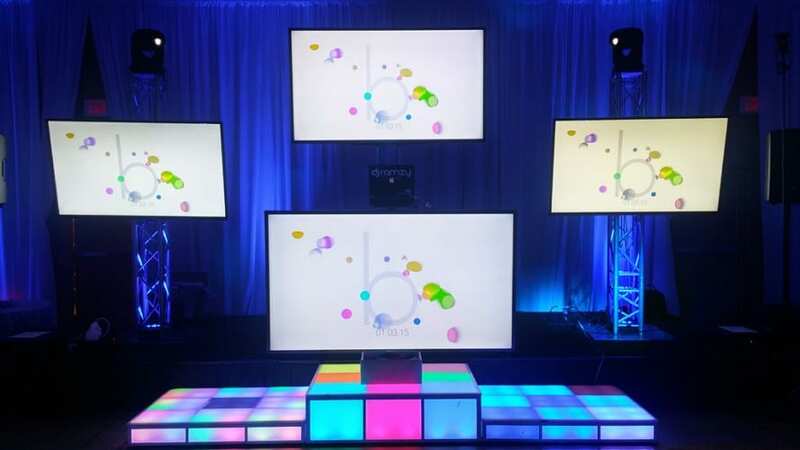 Although originally used for the logistics of showing presentations and videos, multimedia systems can now provide interactive entertainment, visual backdrops, live video streams, and more. 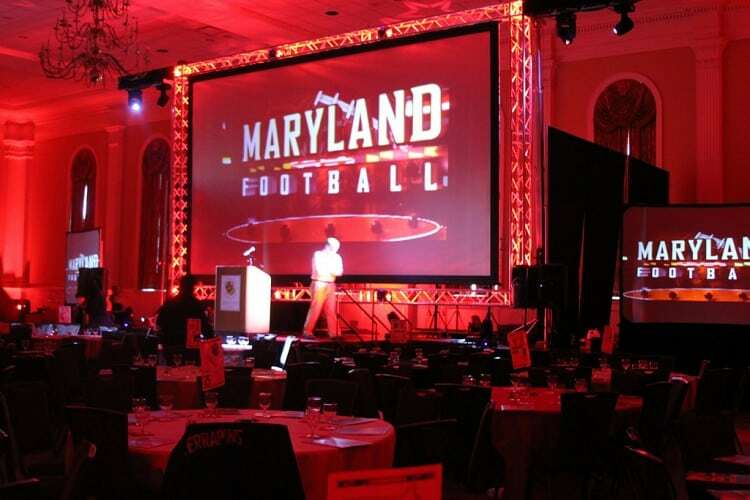 We offer rear projection screens in various sizes (up to 30’), several flat screen and LED monitors (up to 108”), and LED panel capabilities. 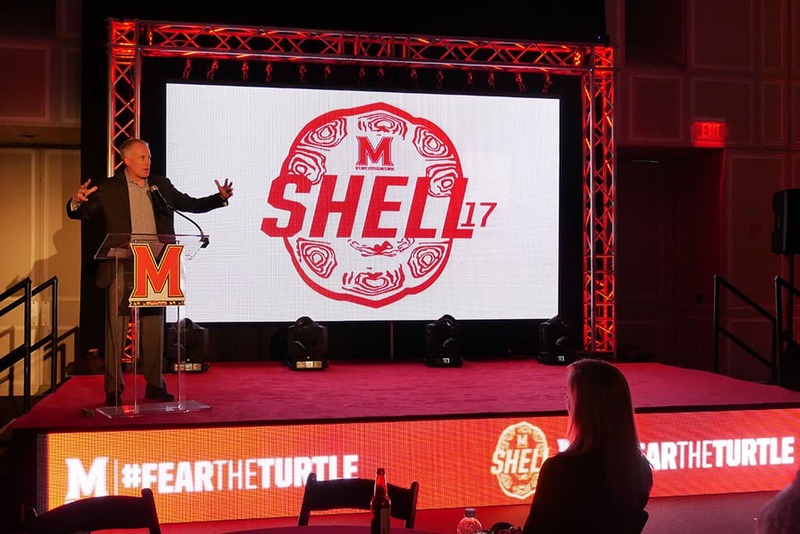 The key is in the presentation. 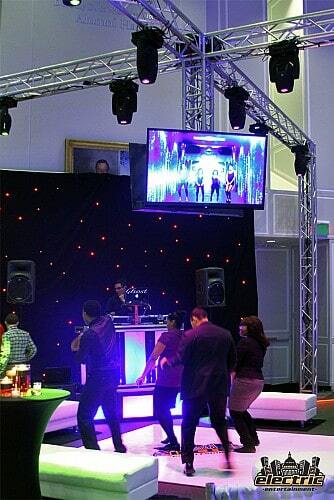 Simply setting up a video screen isn’t always good enough. 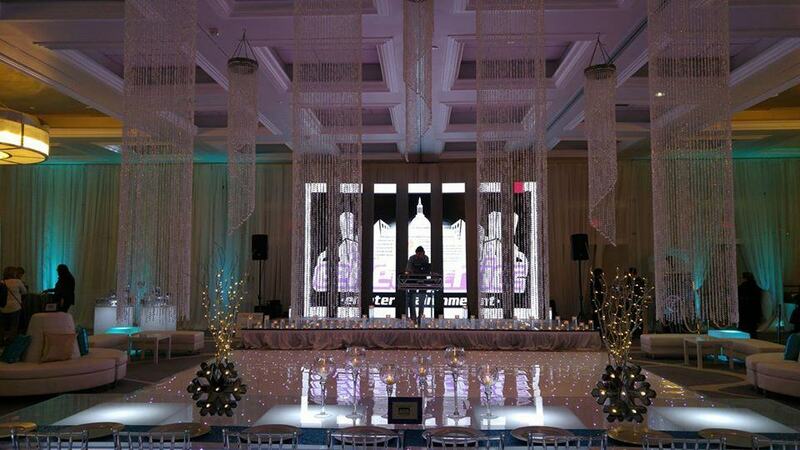 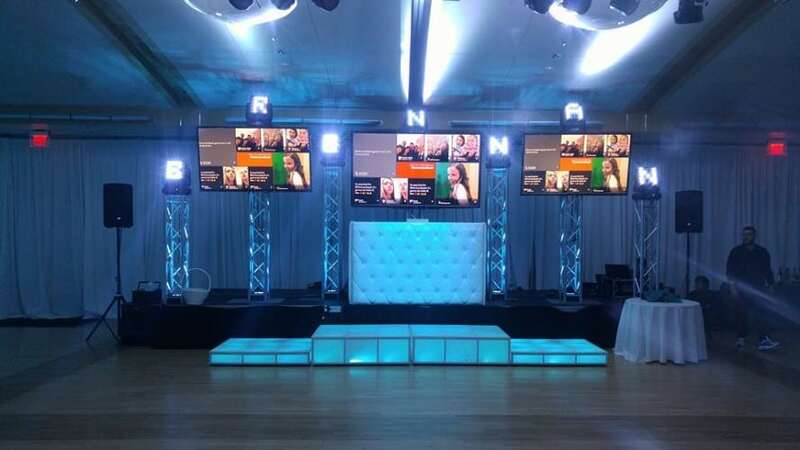 The configuration and content makes the difference, and our event specialists will work with you to develop the perfect video set. 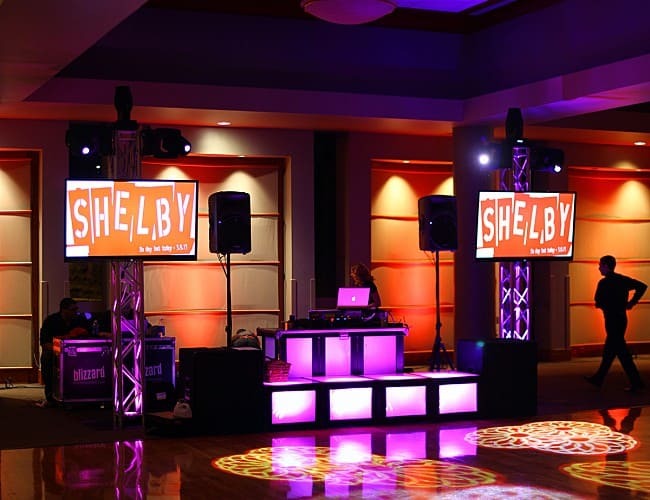 We can offer the same interactive technology you find at ballgames and concerts, to live video feeds and comprehensive A/V support. 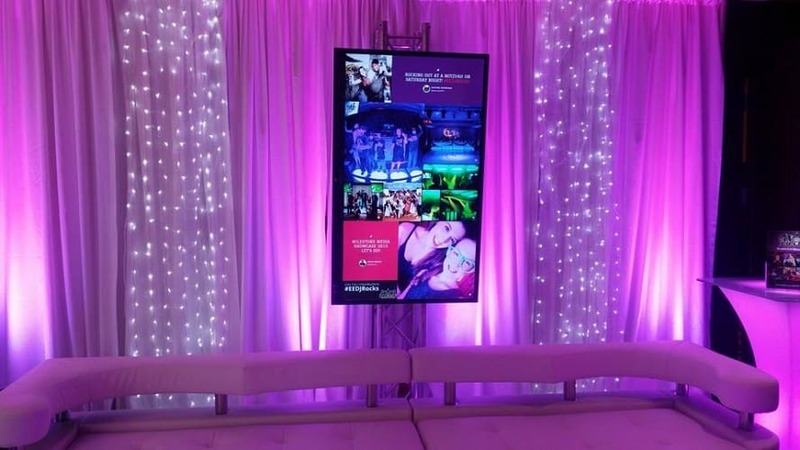 Imagine your guests sending Instagram photos and Tweets to the screen during an event, or using their cell phone to vote for an award. 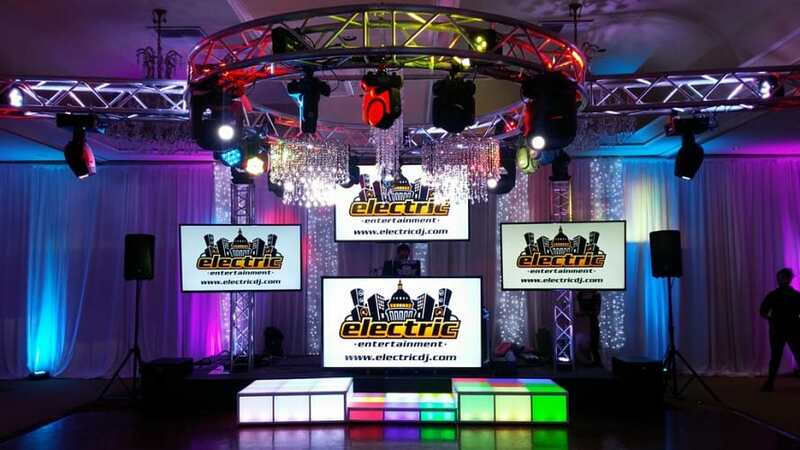 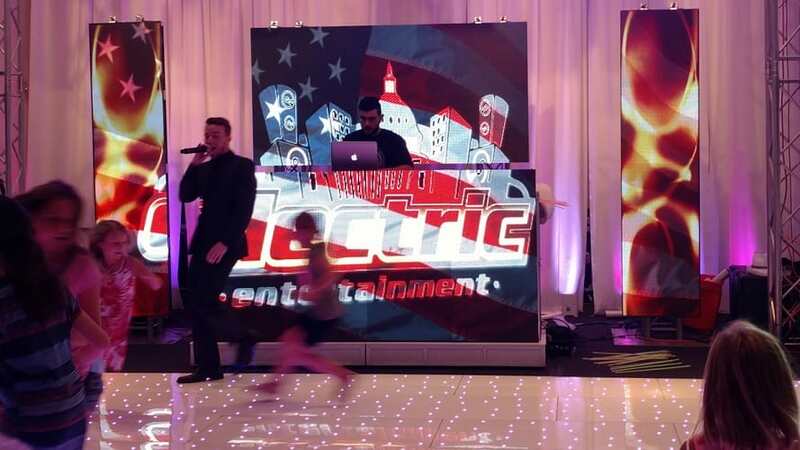 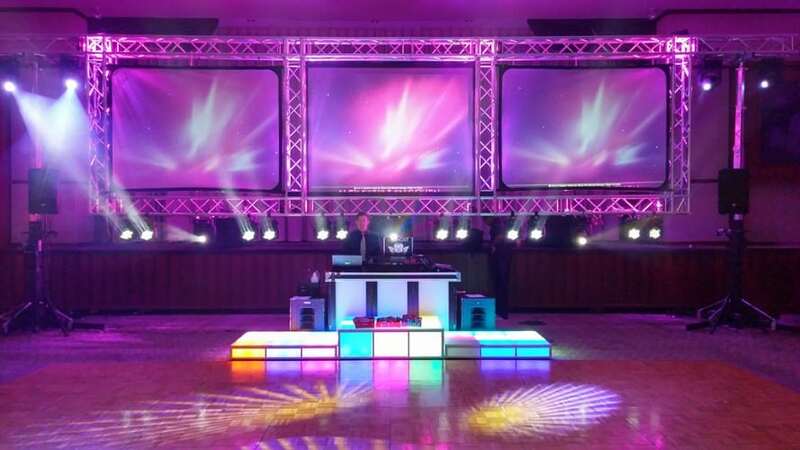 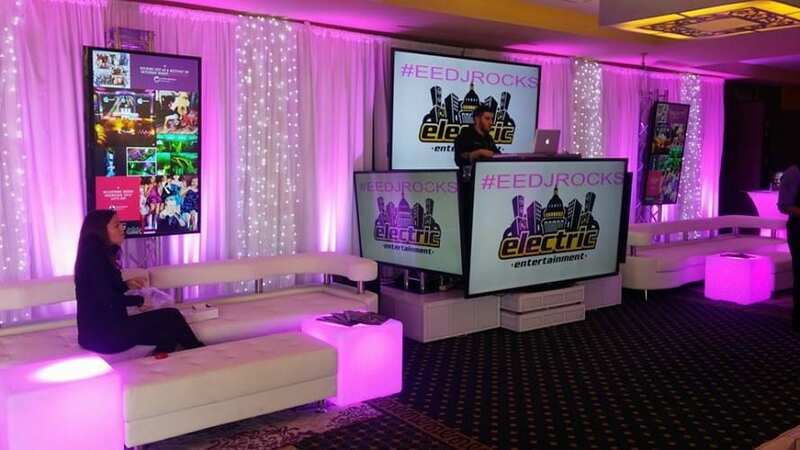 Interactive media is here to stay, and we can bring the excitement to your next event. 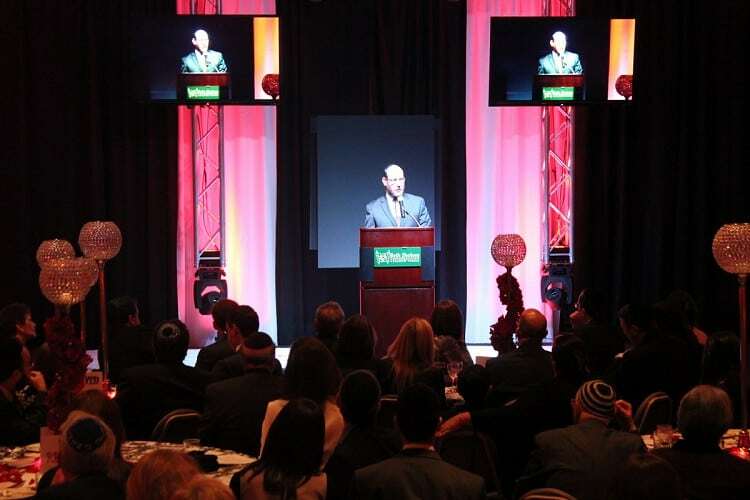 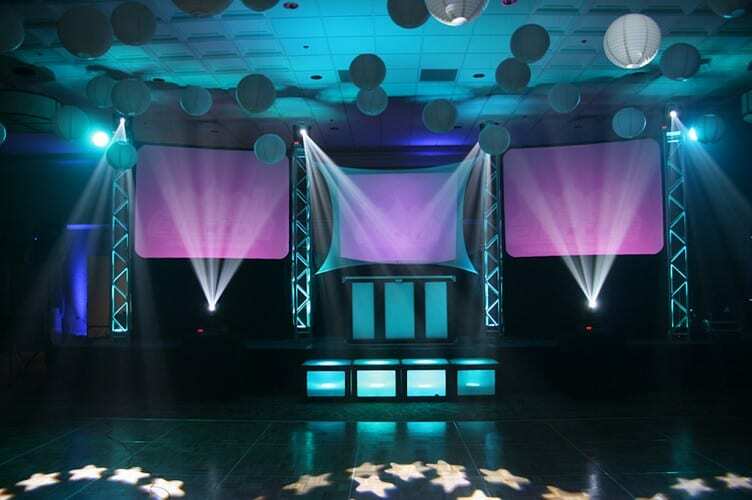 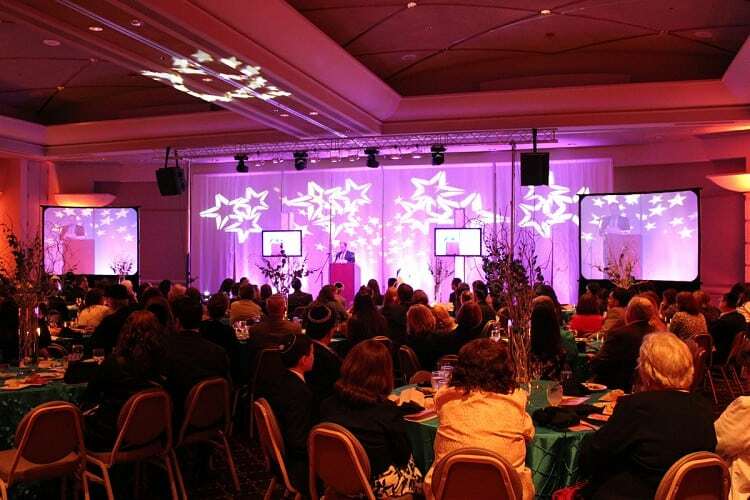 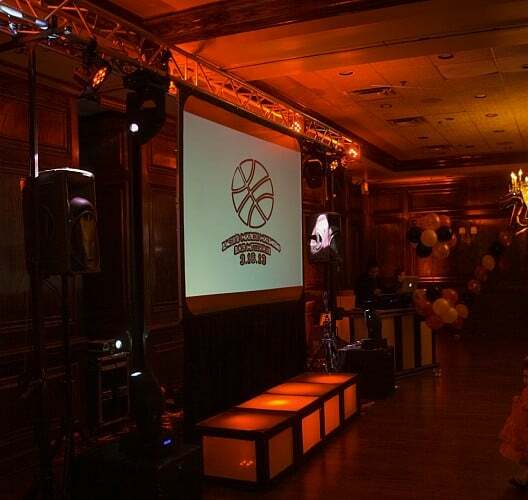 For smaller-scale events, basic multimedia rentals are also available.